Southern green beans don't crunch when you bite into them. 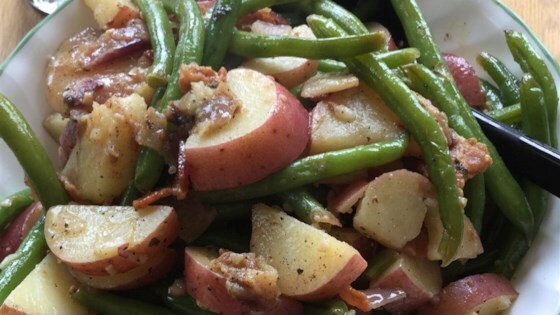 These need to be cooked in a slow cooker for 4-6 hours to be real southern green beans. I really loved this recipe. I added about 3/4 cup of chicken broth instead of 1/4 cup. I also let it cook a little longer than 10 minutes to get the green beans more tender. It was perfect!! !